You’ve probably seen the press releases and stock photos of the new Sonicrafter X2 making the rounds. I’ve found it’s tough to get a real sense of a tool and how well it performs before it’s in your hands. That’s why I’m excited that we have the new X2 in our shop, and so far I’m really impressed. 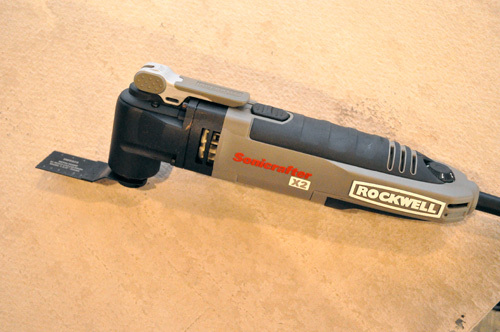 The Sonicrafter X2 (model #RK5139) is one of four new offerings from Rockwell that will be available in October 2012, and the X2 has several key features that I really like. I hate keeping track of those Allen keys to swap out accessories so I’m a big fan that more and more OMT’s are offering tool-free accessory changes. 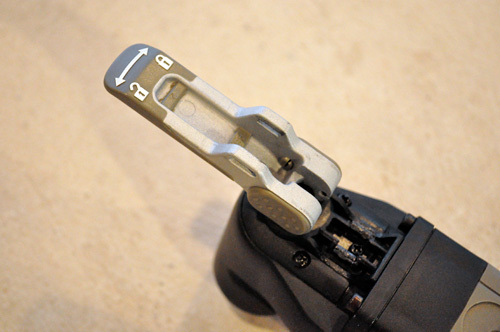 To change blades on the X2 you flip the top lever and rotate it in the unlock direction, insert the new accessory and lock it in place. Rockwell takes it one step further with their Hyperlock design delivering “one ton of clamping force”. I’ve found that some OMT’s (like my Dremel) have a hard time holding onto the blade especially when I’m cutting through dense material. The Hyperlock clamp seems very secure so I’m hopeful that won’t be a problem. Previously only Bosch and Ridgid offer a 3.0 amp OMT (unless I missed one?). I was glad to see Rockwell upgrade the motor to 3.0 amps compared to the prior generation’s 2.3 amp motor. I’ve gathered quite a collection of OMT accessories from Bosch, SKIL, Ridgid, Rockwell, Dremel and Imperial Blades to name a few. 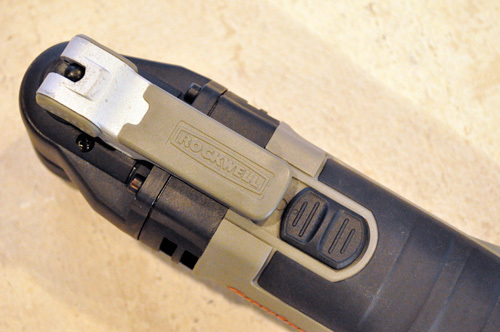 Rockwell’s new X2 is compatible with just about all competitors’ accessories. However, depending on the tool interface they may not be as easy to use. 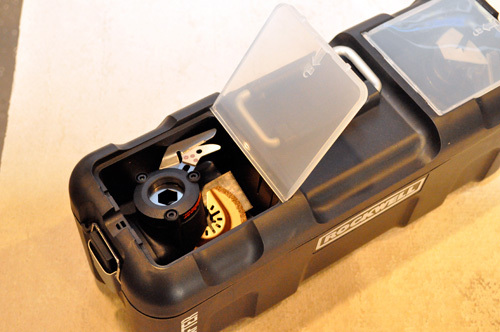 Plus, Rockwell Universal Fit accessories are designed to fit on any multi-tool you already own. 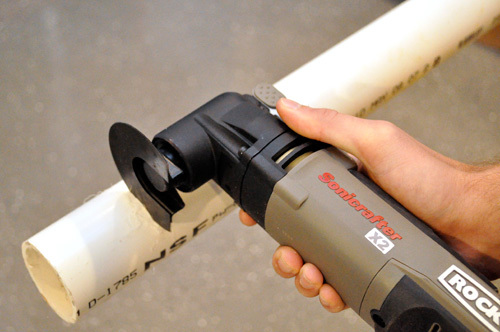 The X2 comes with 8 typical accessories for cutting, sanding, scraping and grinding. 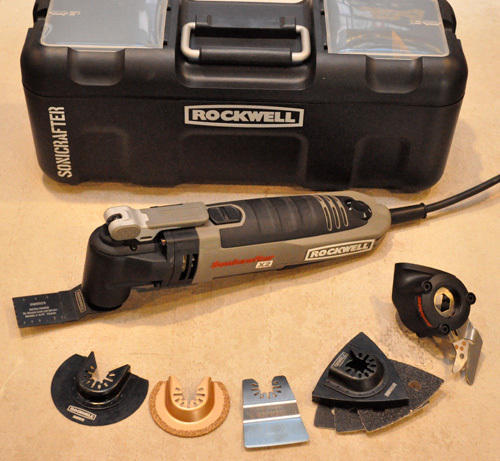 Rockwell also includes another accessory called the Sonishear Scissor attachment which handles materials up to 5/16″ thick. 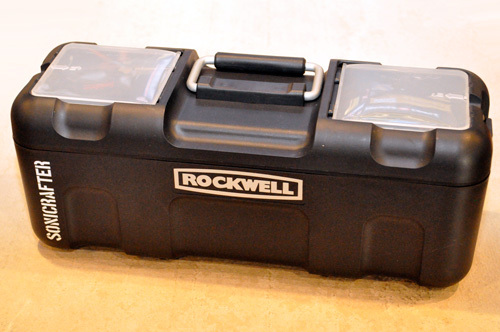 Rockwell has a new case for the X2 for storing the tool and accessories. It’s compact, waterproof and features two storage areas on top for easy access. 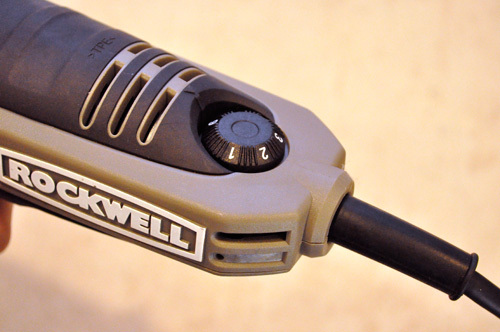 For details on the new Sonicrafter X2 and Rockwells other new OMT offerings, check out the Rockwell site. Constant speed control, which electronically maintains speed-of-cut under load. Nine (9) Universal Fit accessories include (1) 1-3/8” bi-metal end-cut blade, (1) 3-1/8” HSS semicircle saw blade, (1) rigid scraper blade, (1) sanding pad, (3) sanding sheets, (1) carbide semicircle (grout) blade and (1) Sonishear. Plus hard case. I have an inexpensive model I got on sale at Menards for $20. Since I don’t use it that often, it works just fine for me. I would have a hard time justifying $149 for a more high end set. But then again, it’s not something I use that often. Looks nice! I like that it is compatible with most of the other models on the market. Mine is DeWalt… I like it a lot but I don’t think it’s a 3.0. Thanks! I didn’t think DeWalt had an OMT. I like tool free accessory changing. My Nextus Mutli-tool requires a custom allen wrench. This is a really great option, especially because the Fein is so pricey. Also, so many people I’ve talked to say “I don’t know what I’d do with an OMT”. Then after getting one, they use it all the time. That’s pretty much what I think I will do. It’s just convincing myself that this needs to be in the budget. Seems like a amazing tool. With the interchangeability makes it even better. We were looking into getting one here because the stupid builder put the baseboards on THEN tiled. So we need to cut out the baseboard when we go to replace them. They look awfully short and nothing like a baseboard should look like. Does anyone have experience with owning an OMT for a while (and getting fairly use out of it)? I’d like to know how long the blades and accessories last. Also, does anyone have a list of the tasks that can be accomplished with one? I truly believe that one of these could replace a multitude of other tools. I’ve had one for about a year and a half and I find that it is indispensable for certain tasks. The plunge and flush cutting ability is something that is hard to duplicate with any other saw besides maybe the Bosch Finecut, but the Finecut is really limited to flush cutting and can’t get into the tight spaces that an OMT can. As for the tasks, I’d take a look at a few manufactuerer’s websites and they’ll tell you but I’ve used mine for cutting back framing, drywall, nails (won’t work on screws they’re hardened), undercutting doorjambs and casing for flooring jobs, sanding, stripping paint, adhesive and caulk, removing grout, etc… etc… etc… I wouldn’t say they are a replacement for a lot of tools but they can do a lot of things that used to be strictly the domain of hand tools. I definitely need to get on the oscillating tool bandwagon. Everybody’s getting them these days and they look really useful. It’s so hard for me to tell all the brands apart, though. How do those crazy looking scissor things work? Did you at least mutilate some paper to try them out? They remind me of a Swiss Army Knife scissor on steroids. Not really sure how useful that accessory will be. I recently bought the Bosch MX30. I’ve only used it once, but I’ve been pretty impressed. It also has the tool-free blade change feature, which is really nice. Any idea if the SoniShear scissors will work on a Bosch? It doesn’t sound like the Bosch is quite as advanced at accepting blades from other manufacturers? Not sure about using the SoniShear on the Bosch, and I don’t actually have a Bosch unit to try out. Rockwell did a good job making their OMT and accessories compatible with competitors. I bet they integrated better than Bosch. I have used this tool to completely redo a trailer from inside and out. This is truly one of the most amazing tools. I used it for Cutting 2 x 4s out off walls to cutting trim on baseboard. I’ve used it forgetting sheetrock for light switch covers. This is Saved me an enormous amount of time and energy. This is truly the best tool I’ve ever had in my possession.